Published: June 5, 2013 at 09:49 p.m. 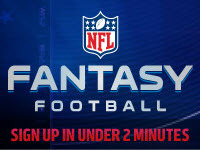 Updated: June 5, 2013 at 10:11 p.m.
NFL.com's Ian Rapoport reported Tuesday that Cleveland Browns running back Trent Richardson's shin injury is not serious and the team simply is taking an extra cautious approach in holding him out of minicamp practices this week. Richardson confirmed as much Wednesday, saying he expects to be on the field for "day one" of training camp. On the heels of an ESPNCleveland.com report that he would be held out until August due to concerns that the injury could develop into a stress fracture, Richardson replied, via the Plain Dealer, "No, no. I have not been told that. It's going to be better for me, better for the team, better for everybody (to) make sure that I'm back late July or early August, whenever we do start our real camp." If the Browns had a game this Sunday, Richardson insists he could play and would already be practicing this week. "Y'all wouldn't even be talking about none of this right now," Richardson emphasized. "Y'all wouldn't even know there was nothing even wrong with my leg." This appears to be an example of a minor story being blown out of proportion due to the offseason news vacancy. Richardson even maintains that there is currently no pain in his leg. The Browns simply are doing their best to ensure that will still be the case by the time training camp rolls around.